If we look back over the work of the various artists who have shaped car design over the past century, it is impossible not to be struck by Giorgetto Giugiaro’s remarkable impact on the style of the cars we see on the roads every day, and the innovative nature of his ideas. Born in Garessio, a small Italian village in the province of Cuneo, close to the border between Piedmont and Liguria, Giugiaro practically grew up in the small art workshop of his father, Mario, and grandfather, Luigi, both painters of frescoes for churches and villas. When he was 14 years old, he moved to Turin to study fashion design and, at night school, technical design. One of his teachers spotted his talent and had him hired, at the age of just 17, in Fiat’s Special Vehicle Design Study Department. Giorgetto was a smart-thinking young man, and it did not take him long to realize that the prescriptive Fiat environment would not allow him to fully express his talents. Through a friend who worked at Bertone, he managed to bring some of his work to the attention of Nuccio Bertone, who promptly took him on. Although still only 21 years old — the year is now 1959 —, he soon became the key person in Bertone design. Numerous cars, including the Alfa Romeo Canguro, Aston Martin DB4 GT Jet, BMW 3200 CS, Chevrolet Corvair Testudo, Ferrari 250 GT Bertone, Fiat 850 Spider, Fiat Dino Coupé, Iso Rivolta GT, Maserati 5000 and Simca 1000 Coupé, just to name just a few, are products of this extraordinary period in his career. In 1965 Giugiaro moved to Carrozzeria Ghia, just in time to design the Maserati Ghibli Coupé and Spider, and the De Tomaso Mangusta. However, in February 1968, after just three years with the company, during which time he had frequently clashed with owner De Tomaso, he quit to found Ital Design, his own consulting firm. 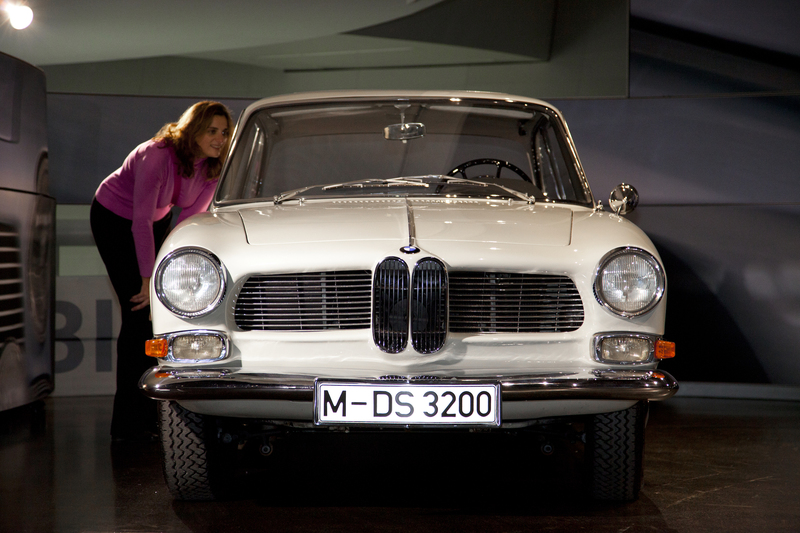 BMW 3200 CS (photo courtesy of BMW Group). While it is impossible to list all the car models penned by Ital Design, the important thing to appreciate is that Giugiaro’s firm not only offered a new vision in terms of shapes and forms but also anticipated the future direction of the car industry, coming up with a new way of manufacturing cars on an industrial scale. 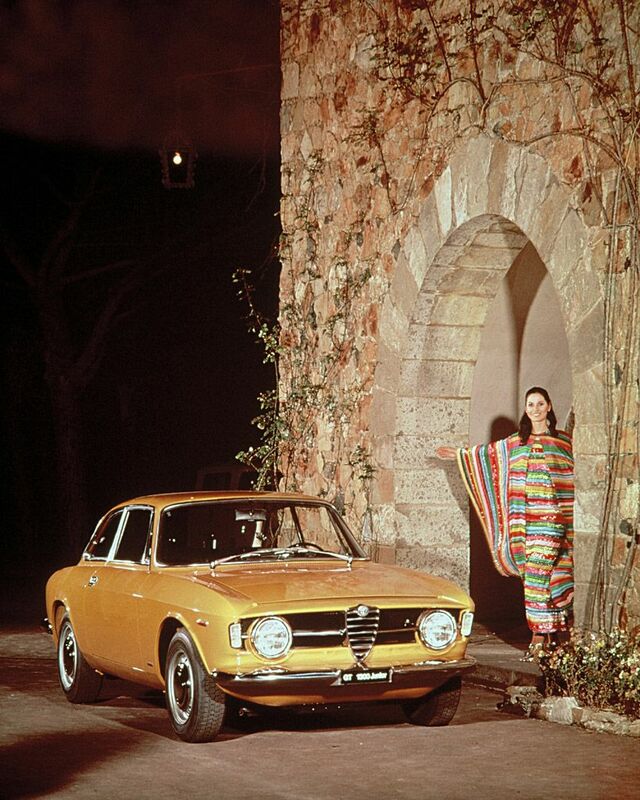 The birth of the Alfa Romeo Alfasud in 1971 marked the first time a design firm had overseen the industrialization process on behalf of a car maker. A subsequent example of this approach was the 1974 Volkswagen Passat, which was soon succeeded by the Golf, by far the most amazing, successful and historically influential model ever designed. Today, of course, it is impossible to imagine a car world without Volkswagen (now the biggest car maker of all) and the brands it owns (Audi, Bentley, Bugatti, Lamborghini, Porsche, Seat and Skoda, as well as Scania and MAN trucks and Ducati motorcycles), but the fact is that without Giugiaro’s Golf the German firm would never have survived. Nowadays, the very first Fiat Panda, produced in 1980, is already a much sought-after youngtimer that, nearly four decades on, still seems inspirational in its vertical use of space. 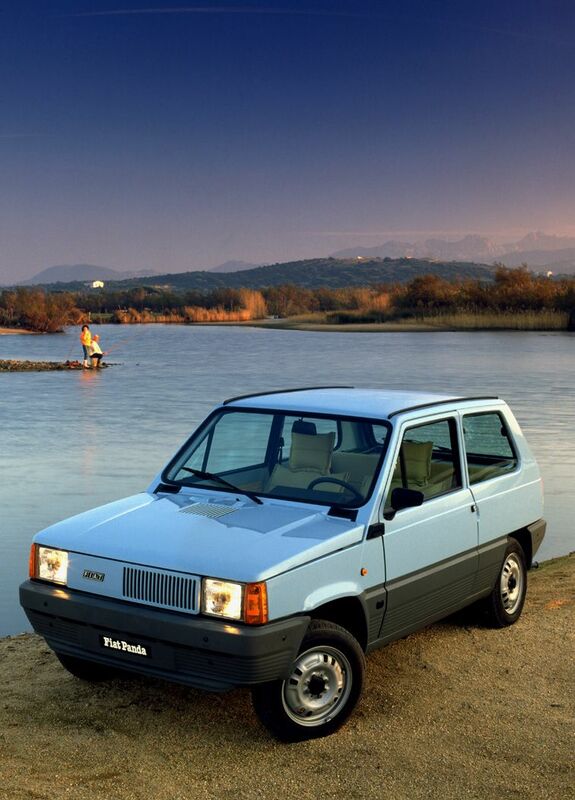 It was joined, in 1983, by the Fiat UNO, which became a global success. Both cars were Italdesign models. In 2010, Italdesign was taken over by Volkswagen to be used as an “external hub” and reference competitor for the internal style centers working for its various brands. Thus, Italdesign entered a new era. It continued to be managed by its founder until 2015, when he decided to step down after his lifelong friend Ferdinand Piëch was forced to relinquish the reins of the Volkswagen Group following the “dieselgate” scandal. Soon afterward, Giugiaro, together with his son Fabrizio, founded GFG Design. Around 200 of the models designed by Giugiaro over the years went into mass production and resulted in the manufacture of around 60,000,000 cars, an amazing figure. In 1999, Giugiaro was named Car Designer of the Century, and in 2002 he was inducted into the Automotive Hall of Fame. More recently, he received The Circle Lifetime Achievement Award 2018 conferred by The Classic Car Trust. The award was presented by Fritz Kaiser and Antonio Ghini during the CCT initiative The Circle, held during the Grand Basel 2018 show. It is a difficult, if not impossible, task to select just a few models that might be considered the best, most successful or most interesting cars (series production models or one-offs) ever sketched by Giugiaro. His output has been so wide-ranging and remarkable that any 10 car specialists asked to pick their line-up would inevitably give you as many different combinations, each as good as the others! Here, for the record, is ours! 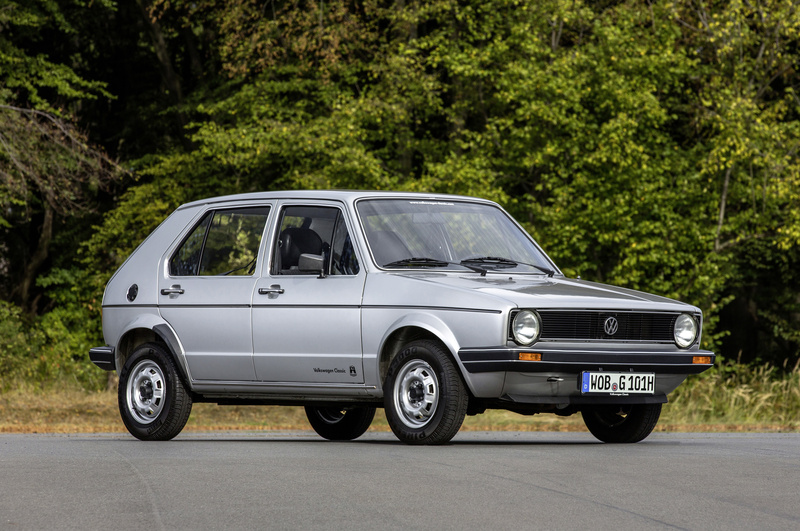 This is most likely the most important mass production car ever designed, not only because, as the Golf Mk VII, it is still in production today (almost 40,000,000 pieces later), but also because it is the model that saved a struggling Volkswagen from extinction, starting the process of the firm’s transformation into the world’s leading car manufacturer. The squared shape and innovatively proportioned volumes make the Golf MKI a style icon. (Photo courtesy of Volkswagen AG). 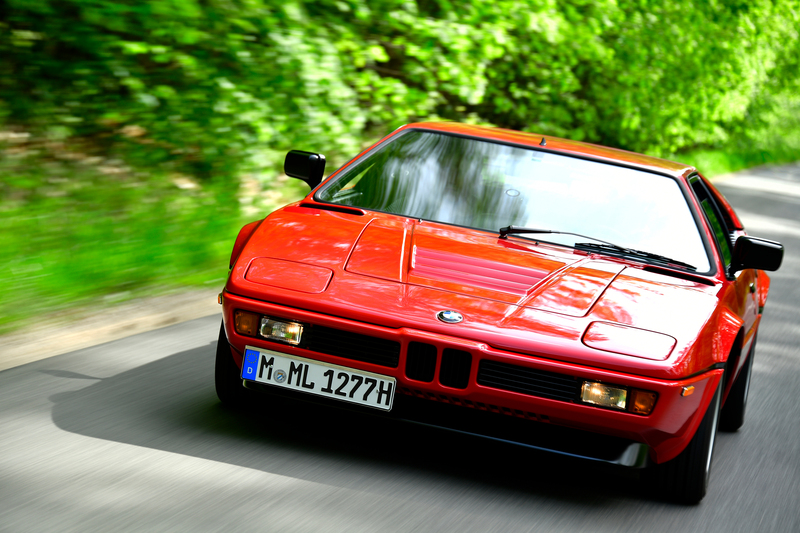 One of the most beautiful supercars ever built, the M1 saw BMW establishing itself as a premium company capable of building supercars with a mid-rear engine and amazing performance levels thanks to the “M” treatment. The first prototype by Paul Bracq was already a work of art, but it was Giugiaro’s final touches that made the M1 one of the most beautiful and iconic BMWs ever built. (Photo courtesy of BMW Group). One of Giugiaro’s first “personal successes”, this was the series production version of the new Alfa coupe, based on the Series 105 Giulia mechanics. 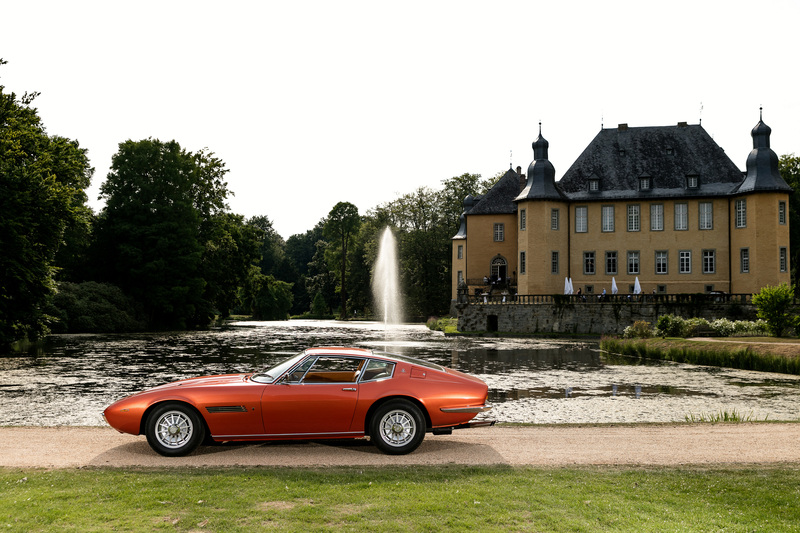 An amazingly beautiful small coupe, the GT was the most outstanding commercial success of the period — 224,000 cars built up to 1976 —, and it is still one of the most admired and appreciated classic cars today. (Photo courtesy of FCA). Designed by Giugiaro during his short stint at Ghia, the Ghibli, both in the closed Coupé and the open Spyder version, is considered the most beautiful body ever used for a normal production Maserati. It perfectly combines the aggression, sophistication and classic lines of a 1960s Italian granturismo. Unsurprisingly, it is the most sought-after Maserati of the period. (Photo courtesy of Masterpieces/Peter Singhof). Based on a Giulia TZ, the Canguro debuted at the 1964 Paris Motor Show and immediately become one of the most famous and admired show cars ever built. After a crash on the Monza racetrack — amazingly, it collided with another Bertone one-off, the Chevrolet Testudo —, it was left parked outside the Bertone premises for some time. Now restored, it is part of a Japanese collection. Lorenzo Ramaciotti, for many years style director for the company’s “competitor” Pininfarina, really loved this car and admitted to finding it so inspirational that he had to have one of his own — a 1:5 scale model in his office! Launched at the 1969 Turin Motor Show, the Iguana, designed by Italdesign, was based on the amazing mechanics of the Alfa 33 Stradale. Among the various prototypes based on the 33, the Iguana is, by far, the least like a show car, and could easily have been put into series production. Some of its design features later appeared on Alfa Romeo and Maserati production cars. Part of the project to develop monospace cars designed to make the best possible use of vertical space — a type nowadays extremely prominent on the market —, the 1984 Together is still so contemporary looking that, with very few minor changes, in particular bigger tires, it could easily pass for a modern car today. Some of its features have been seen on normal production cars over the past 20 years. This is probably the biggest missed opportunity in automotive history. Giugiaro proposed the Lucciola as a young, monospace model, in his view the perfect car for the 1990s. After being scornfully rejected by the Fiat management, it was taken up by Daewoo and went on to become one of the greatest hits of the decade, helping to make this previously almost unknown Korean brand one of the coolest around. Marketed as the Matiz, the model sold more than 2.5 million pieces. In 2005 Giorgetto gave himself a present to celebrate his 50th anniversary as a car designer. 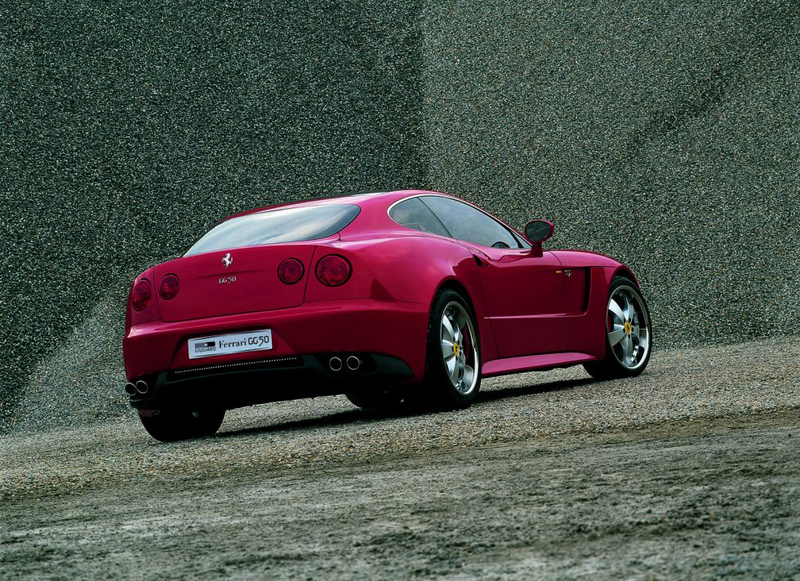 Luca Cordero di Montezemolo, a personal friend and, at the time, president and CEO of Ferrari, presented him with a 612 Scaglietti rolling chassis, and Giugiaro, with the help of his son Fabrizio, designed a one-off Ferrari for himself, to be used with his family. This car is the only one-off Ferrari of the past 40 years not designed by Pininfarina or Ferrari Centro Stile, but nevertheless eligible for Ferrari Classiche “Red Book” certification. (Photo courtesy of Italdesign).